Back in 1995 David Rohl published A Test of Time, which accompanied a TV programme advocating a revised chronology for the ancient world. He argued that the conventional chronology used in text books was wrong by up to 300 years. So using this new dating, Rameses II lived not in the 1200’s BC but the 900’s, and far from being a candidate for the Pharaoh of the Exodus he was a contemporary of Solomon. He should be equated with the Biblical “Shishak” who plundered the temple of Jerusalem in 925 BC, rather than Shoshenq of the Twenty-second Dynasty as assumed ever since the days of Champollion. 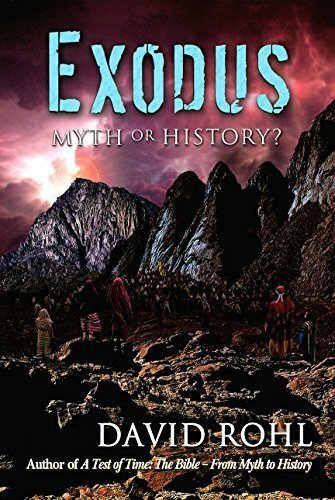 Exodus Myth or History? is a restatement of the basic tenets of the earlier work but with considerable new material included, such as a more convincing explanation of how the short form of the name Rameses (sysw) might end up in the Bible as Shishak (ssk). The work focuses on three Biblical periods: that of Joseph, now identified as the Twelfth Dynasty vizier Ankhu; that of Moses who led the Israelites from the Delta at the end of the Thirteenth Dynasty in the reign of Dudimose; and that of Joshua who entered the Promised Land not in the Late Bronze Age as usually supposed but in the Middle Bronze Age. It is the contention of the New Chronology thesis that a Middle Bronze Age setting fits the archaeological evidence much better than a Late Bronze Age. The absence of evidence in the LBA has led to the emergence of “biblical minimalism” which denies the historicity in any meaningful way of the biblical narratives. The book is densely packed with information and is copiously illustrated with colour photos on almost every page. The time charts and the maps are excellent and clear. My heart wanted to applaud this tour de force which would explain so many difficulties. But my head told me to be cautious. If David Rohl is right, then practically every text book you have on Egyptian, Mesopotamian or Hittite history is wrong. That is why conventional Egyptologists are reluctant to give the thesis any kind of hearing. Major problems exist. You cannot just make 300 years of history disappear, they have to go somewhere. Where they go is into the early first millennium BC, since Rohl agrees that the chronology is correct for the period after 664 BC. So under the New Chronology scheme the first third of the first millennium has to pack in not just Dynasties Twenty-two to Twentyfive but Nineteen, Twenty and Twenty-one as well. Rohl hints that this is the challenge for a subsequent book. Having striven to sort out the mess of the second millennium chronology produced by the conventional scheme, it remains to be seen if he can clear up the first millennium pile-up that the New Chronology creates. See page 34 of issue 94 for an article by David Rohl based on his latest work. edited by Salima Ikram et al. Bioarchaeology is the study of ancient biological remains within their archaeological context. Scientific investigations of ancient skeletal, animal and plant material can reveal a wealth of information about ancient Egyptian life, shedding light on diet and health, crop production, animal husbandry and effects of the ancient natural environment on human populations and migrations. 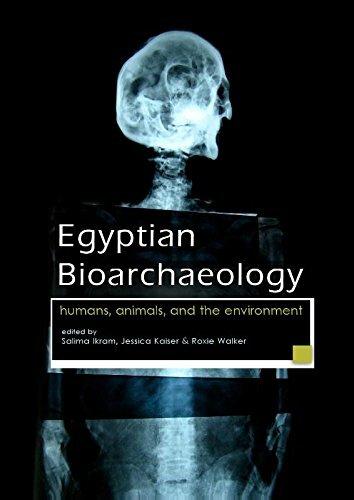 This type of research is usually carried out by experts from specialist disciplines such as physical anthropology, radiology and archaeo-zoology; in an effort to find a more integrated approach for the study of ancient Egyptian biological remains, two conferences were held by the American Research Center in Egypt in 2010 and 2013, the results of which are presented here in a series of essays by leading international specialists. The papers include: a preliminary investigation of the skeletal remains discovered in burials under the Mortuary Temple of Amenhotep II at Luxor (showing evidence for a high infant mortality rate and for labour-induced degenerative joint disease in most of the adults); a study of the remains of 430 dogs (including 82 beautifully wrapped mummified animals) discovered inside three Graeco- Roman tombs at el-Deir (Kharga Oasis), revealing several different breeds and a wide range of ages; and the potential of dendrochronology (tree-ring analysis) for the dating of wooden remains and in understanding Egyptian human/environment interactions. At Amarna, analysis of human skeletal remains suggest that the depictions of abundance and opulence did not reflect the reality of life for most of Amarna’s citizens, with evidence of malnutrition (Amarna adults are the shortest of any known ancient Egyptian population) and a high incidence of work-related injuries such as spinal trauma. Osteological analysis is also being used at Saqqara to try to identify the unknown woman found buried in the pyramid discovered there in 2008. Originally thought to be Shesheshet, mother of Teti, the study of her bones suggest another possibility. Well illustrated with ample references, this book makes fascinating reading for academics and general readers alike. If you feel the need to broaden your horizons, this is the book for you to dip into. 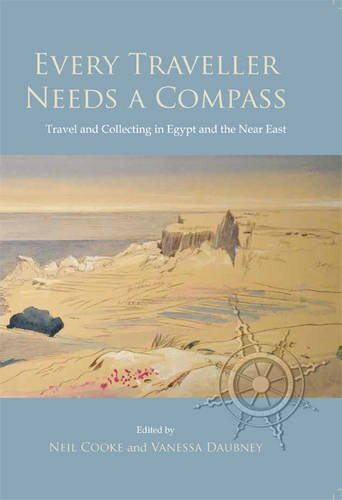 In a short review it is impossible to do justice to the impressive range of research represented by the seventeen papers which were presented at the Association for the Study of Travel in Egypt and the Near East conference held in 2013. Some of these papers focus on mainly Egyptian topics, such as the work of artist Jean-Jacques Rifaud, Muscovite travellers in Egypt, and Alexander Henry Rhind’s excavations in Egypt; but you can also learn about the visit of Edward Lear to Gozo, a nineteenth century hostage rescue in Abyssinia, the life of an RAF officer in the Trucial states and the little-known traveller Ulrich Jasper Seetzen. Other studies examine the explorations of the Near East, ranging from the stormy relationship between William John Bankes and Charles Barry to the work of Amalia Sola Nizzoli (in the first quarter of the nineteenth century) who could arguably be described as the first female archaeologist; in Saqqara she demonstrated huge energy and a certain lack of scruple in the collection and disposal of antiquities many of which are now in her native Bologna. One of the most fascinating contributions is about Mohammed Ashgar, also known as John Bedair who made the opposite journey to that of most people in this collection. He was a traveller from Egypt who became a travelling companion to James Burton and others, eventually marrying and settling in England. Burton’s journeys in his company, together with a collection of animals, including a giraffe, make an entertaining read, and perhaps typify the more eccentric nineteenth century expeditions. Finally, there is a study of the technology available in the early nineteenth century to keep travellers safe, including the compass, the sextant, thermometers, barometer and chronometer, all considered by many to be essential kit. Perhaps it is fortunate that the owners of these items were unaware of the hazards of carrying, for example, equipment containing large amounts of mercury. - there are many examples of breakages and mopping up operations. Modern travellers may not be aware of some very simple problems encountered by their predecessors. Think how hard it would be to write your travel diary using liquid ink and a quill pen while riding on the back of a camel. This book conjures up the hardship but also the romance of these early travels. However, thanks to the pioneering work of, among others, Janine Bourriau and Pamela Rose, the study of ancient Egyptian ceramics is becoming progressively more holistic, taking into account the archaeological, historical, and technological context of pottery. 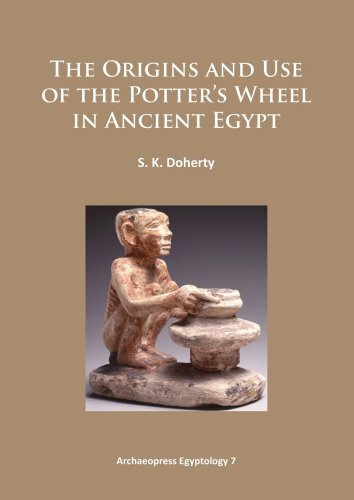 It is the latter point which Doherty focussed on for her Ph.D. thesis, of which this volume is the result: the development and use of the potter’s wheel, introduced into Egypt during the Old Kingdom and “second only perhaps to the lever” in importance as a technological innovation. While addressing the intricacies of ceramic research, Doherty succeeds in making an often complex subject accessible to the reader, drawing together archaeological, epigraphic and scientific evidence to address the challenges inherent in such a study. In particular, terminological confusion in the existing literature is highlighted (is it a turntable, or a potter’s wheel?) and indeed the origins of the potter’s wheel itself: did the Egyptians import the idea from Mesopotamia? This work also integrates Doherty’s practical knowledge of pottery throwing: using a replica ancient Egyptian potter’s wheel to reconstruct the pot-forming process, and deconstructing firing technology through practical experimentation. Importantly, Doherty undertakes an ethnographic study of modern potters’ workshops in Egypt, integrating her own personal observations into a comprehensive overview comparing ancient and modern techniques. X-ray analysis of ancient vessels from museum collections, and Doherty’s own modern replicas, is also used to determine particular techniques; for example whether a vessel was made on a wheel, or built with the coil method. The volume is richly illustrated with accompanying images and statistical data, and a comprehensive bibliography will be of considerable use to those interested in furthering their knowledge of this fascinating area of research. Anna is an Assistant Project Curator at the British Museum. Papyrus: the Plant that Changed the World – From Ancient Egypt to Today’s Water Wars. It is a long time since I read a non-fiction book which engaged my interest from cover to cover. Papyrus is such a book. 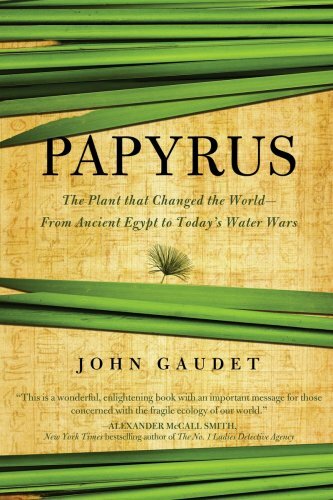 Writing with calm authority, based on his personal experience of working with various environmental, agricultural and conservation agencies, Gaudet tells the story of the papyrus swamps which have provided natural water purification for millennia, especially along Africa’s great waterways. He starts by examining the plant’s heritage and its many uses in ancient Egypt, from boat-building and rope-making to the eponymous writing material. He uses the floating villages of the Sudd as an analogue of the Nile Delta in early times, which goes a long way to explaining why archaeological remains in that region are so scarce. In Mediaeval times the disappearance of the Delta’s papyrus marshes was hastened by the demands of agriculture and a rapidly increasing population, and the decline in the use of papyrus paper. Now, as Gaudet chillingly reports, due to agricultural and industrial pollution and raised salinity, the Delta is a place where, “fishermen are afraid to eat their catch and farmers are unable to use the local land or drink the water.” His description of many of what he sees as misguided projects to dam or canalise the Nile are sorry reading. He questions the belief that swamps are breeding grounds for disease and a waste of space consuming vast quantities of water. In dispassionate terms he shows that the predicted benefits of hydro-electric and other water management projects are rarely achieved and how such ‘improvements’ can destroy the healthy ecological balance of the river leading to dramatic environmental damage, economic decline and even war. By its very publication this book shows that there are experts who know what has to be done to redress the balance. The papyrus plant will play a significant role in that recovery. Amongst the rays of hope that Gaudet shines on the situation is the news that the Egyptian government has started replanting papyrus in the Delta as an experiment in natural water filtration. Let us hope that Hapi gives this project his blessing. Hilary is the author of many Egyptology books and writes our popular Per Mesut article series. Following on from Reid’s 2002 book, Whose Pharaohs?, this volume picks up from where that left off, around 1914, and charts the modern history of Egyptology in Egypt through to the 1950s. 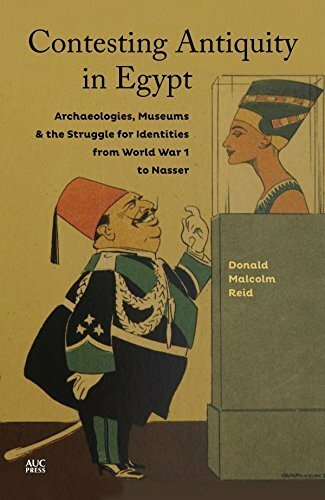 Reid’s study is a political history as much as anything else, and is crammed full of little-known (and very interesting) evidence for why Egyptology appears the way it does today. Using museums, university courses and the popular media as sources, Reid sheds light on rarely-discussed aspects of Egypt’s heritage. Unsurprisingly, a major theme is the legacy of European colonialism in Egypt and in particular the widespread disenfranchisement of Egyptian Egyptologists by Western scholars and politicians. The first part of the book looks at the impact of Tutankhamun, the politics and commercialisation of the find, and its impact in Egypt itself, especially in shaping emergent Egyptian nationalism. It is particularly rewarding to read new material on this well-worn story. Howard Carter is presented as something closer to a real human being of his day, rather than in the eulogising terms he normally receives. 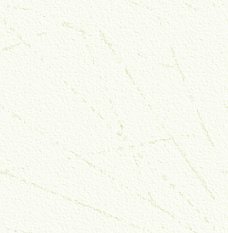 The blatant bigotry of Western ‘heroes’ like James Henry Breasted and Flinders Petrie is also quite apparent in selected quotations. The book’s second section gives a useful overview of the fluctuations in tourist numbers following key political events during the time concerned – providing a hopeful indication for the current situation in Egypt. The appeal of Islamic, Coptic and Graeco- Roman heritage is compared and contrasted with the regard in which Pharaonic antiquities have almost always been held. There are some fascinating asides here about individual characters who helped advance – or deliberately hindered – progress in scholarship and popularisation in these areas. Finally, Reid follows the development of Egyptian Egyptology just before, during and just after the Second World War, until the end of the monarchy in 1952. This particularly concerns the role of ‘Pharaonism’ – modern Egyptians’ popular interest in and identification with ancient Egypt – and its often political overtones. There is plenty here that will be unfamiliar to most readers, and this may be off-putting for some. Reid’s engaging prose is extensively researched and will provide a refreshingly Egyptian perspective for anyone interested in the development of the study of Egypt’s heritage. On page 3, Marianne Eaton-Krauss refers to an illustration in Zahi Hawass’ seventh book on Tutankhamun, which prompts the question: does the world need another book on the subject? Much was known about Tutankhamun before the discovery of his tomb, and (as Carter and Mace predicted) the finds made there did little to expand our knowledge. In fact most of the advances in understanding have been made by detailed study of ‘long-known but neglected evidence’, published in academic journals, often in French or German. The result is that much of what we think we know is actually out-of-date and based on misconceptions, so it can be said there is indeed a real need for a book that reviews the evidence of Tutankhamun’s monuments in the light of recent scholarship (although Aidan Dodson’s, Amarna Sunset covers much of the same ground). 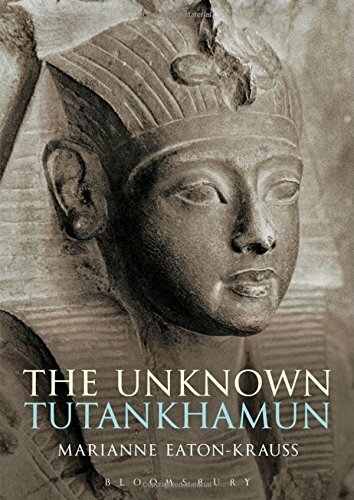 The book follows a broadly chronological approach, starting with questions of Tutankhaten’s parentage, and ending with Tutankhamun’s death and burial. In the process we learn that Akhenaten did not attack the temples of most deities throughout Egypt; that the restoration of Amun was under way before Tutankhamun came to the throne; and that his restoration of scenes is characterised by a high-quality low relief. We are reminded that many of his statues are based on models from the late Middle Kingdom, that Amarna royals can be recognised by their feet, and that gods do not wear sandals. Tutankhamun is shown – hidden beneath the usurpations of Horemheb – to have been a great restorer, a man of many monuments, the great leader back to orthodoxy. It is no criticism to say that the book is not light reading, but more effort could have been made to present ideas logically. Thus, for instance, many instances of Horemheb’s usurpation of Tutankhamun’s cartouches are mentioned before the way in which this was done is discussed. Much of the attribution of monuments to Tutankhamun comes down to facial recognition and so it would have been useful to have seen features that were indisputably Horemheb (or Ay) for comparison. The significance of the two foetuses from KV62 and the fact that Tutankhamun’s mummy was missing its heart are rather passed over, and more could have been said about the location of the missing mortuary temple. Overall, though, this is a useful discussion of the evidence relating to a pivotal figure in the history of ancient Egypt. Dylan contributes to research into the post- Amarna period with four chapters in An Ancient Egyptian Case Book (2014). One of the features of Egyptology is that it attracts devotees from all walks of life, many of whom have, or have retired from, successful careers in entirely different disciplines. These individuals are often able to contribute significantly to the subject by applying to it the skills they have acquired in their professional lives. 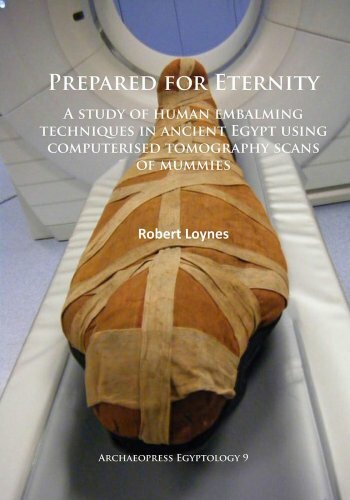 One such is the author of this book, who entered Egyptology following his retirement as an orthopaedic surgeon, and was subsequently awarded a Ph.D. for his study of human embalming techniques in ancient Egypt using computerised tomography scans of mummies. This volume contains the results of his studies of sixty scans of mummies, dating from the Middle Kingdom to the Roman Period, collected from various UK and continental European museums. Loynes’ aim was to determine if there is any pattern in the embalming techniques used, whether they changed over time and varied from location to location. Both of these objectives were achieved, and, although the sample was too small to permit definitive proof, it did indicate a gradual evolution in techniques and variations in practices between different workshops. The data obtained is presented in great detail and will undoubtedly prove invaluable in future research into mummification. 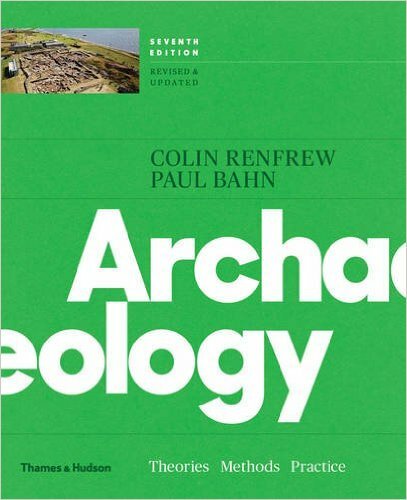 The revised seventh edition of this essential text covering the fundamentals of archaeology; aimed at A-level and undergraduate students.